Nueva Andalucía is the largest residential area in the municipality of Marbella. Created in the late 1960s at the same time as the construction of the luxury marina, Puerto Jose Banús, Nueva Andalucía has become the perfect residential accompaniment to this glamourous and world-renowned port. The area offers a relaxing green-leafed, suburban, luxury lifestyle to a wide variety of nationalities. 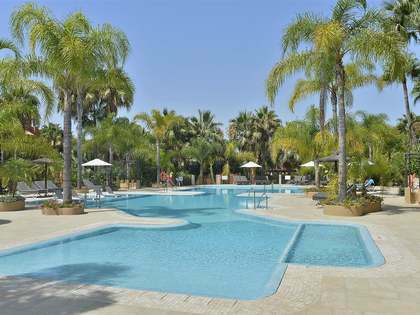 Marbella is a popular year-round location with wide tree-lined avenues and beautiful villas. Nueva Andalucía, unlike many parts of the Costa del Sol, is not a tourist area. Given its proximity to Marbella and surroundings, residents enjoy being close enough to everything they want and far enough away from anything they don't! 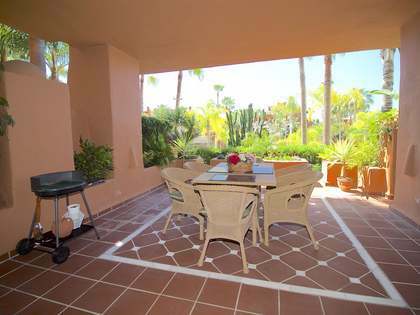 Nueva Andalucía contains a wide range of luxury real estate within its boundaries. Prices range from €500,000- to €3 million. There are varied styles including contemporary and classic, individual Mediterranean villas, new build penthouses and spacious apartments situated in exclusive gated developments. The extensive range of property for sale and its residential charm make this area very popular amongst international buyers. The green, suburban layout is laid back and has a rural feel, but there are plenty of shops, boutiques and many great restaurants offering a variety of culinary styles. The area is also home to a number of Tennis and Padel clubs, with Manolo Santana's Tennis club being one of the best known. Padel is an extremely enjoyable mixture of squash and tennis, played on walled courts, and a popular and highly sociable pastime amongst all ages. Horse riders are also often seen enjoying the tranquil nature of the area. Nueva Andalucía can be split into two parts, West and East. The Eastern side benefits from beautiful greenery and here you find high quality villas and apartments. As the area undulates, it is possible to enjoy, in certain parts, some spectacular coastal views. Elegant developments such as La Cerquilla or Los Olivos with their beautiful individual luxury villas, or Aloha Hill Club are ideal for those looking for permanent living. New luxury developments are available in Nueva Andalucía too, such as 9 Lions – these are of the highest quality design in highly sought-after areas. This is the ultimate in modern design from a safe, well-connected location. It is an increasingly popular place for families with children who are choosing to make Nueva Andalucía their home as it is close to a number of excellent reputable bilingual international schools. Puerto Banús itself is an extremely well-known destination, visited by more than 5 million people per year. Famous for its appeal to the jet set and tourists it is a design-lovers' paradise and a great place to watch celebrities and the wealthy at play. Properties for sale in Puerto Banús are now mainly purchased as holiday homes or to rent out during the summer season to tourists from around the world. Its glamorous reputation and lively nightlife mean that the Port is busy for a large proportion of the year. 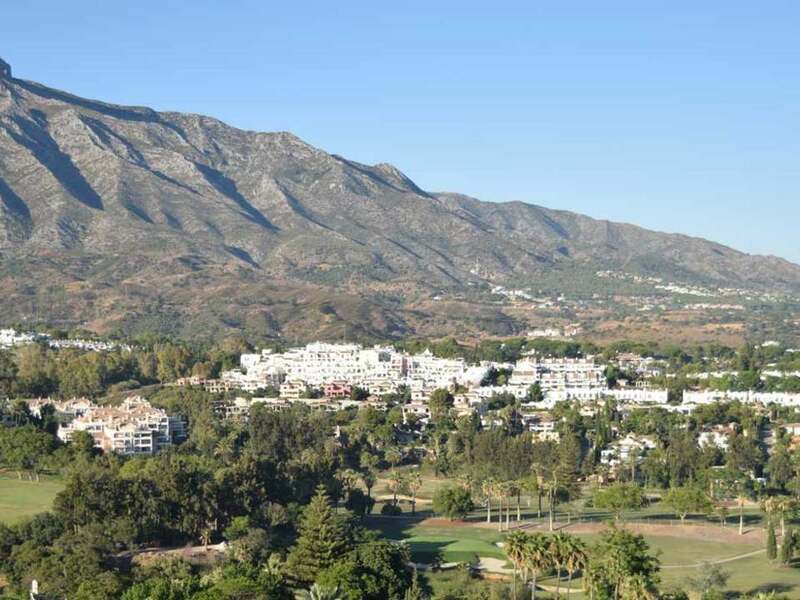 Nueva Andalucía is the ideal residential area, perfect for people seeking a safe, well-connected location on the Costa del Sol. With a variety of property to choose from and a great atmosphere, the area is often the first choice for those looking to relocate. Whether you are looking for a villa or apartment, Lucas Fox offers first class, independent advice about buying property in Nueva Andalucía.